The triad of Etheric Felines recently released its debut EP The Selves We Bury via Magic Death Sounds. Threading components of electro-noise and hip-hop within a fog of murky mystery, these songs impose a will of dangerous, dreamy discovery. Shrouded in the unknown, one wanders through the abandoned buildings of the future, using the sonic signal as a honing device. Trek through the cluttered and chaotic ambiance in pursuit of the final destination, lying in the distance. 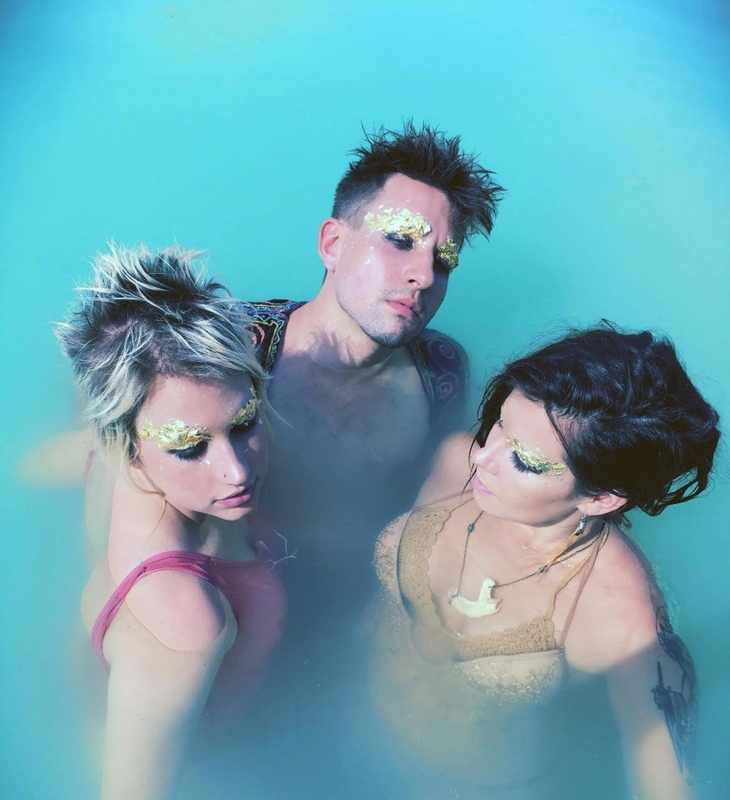 Trip-hop triumvirate Etheric Felines' latest single, “Buy My Ashes,” quickly establishes a bass-quaking beat. That foreboding sense of authority gives rise to Andrea Bullard's relentless rhymes that slyly wax and wane between idealistic, personal goals and self-confidence. That desire to achieve, weighed against potential security of abandoning dreams, creates a crisis of conscience. This mindful tension is smoothed over by Katie Ross' subconscious “You don’t know me” chorus, hovering overhead. It's always nice to find new music in your inbox that truly brightens your day. So much so that we couldn't wait to share it with you. Take this new feel-good jam, "Birth House," from fledgling local act Etheric Felines, for a spin "again and again"! 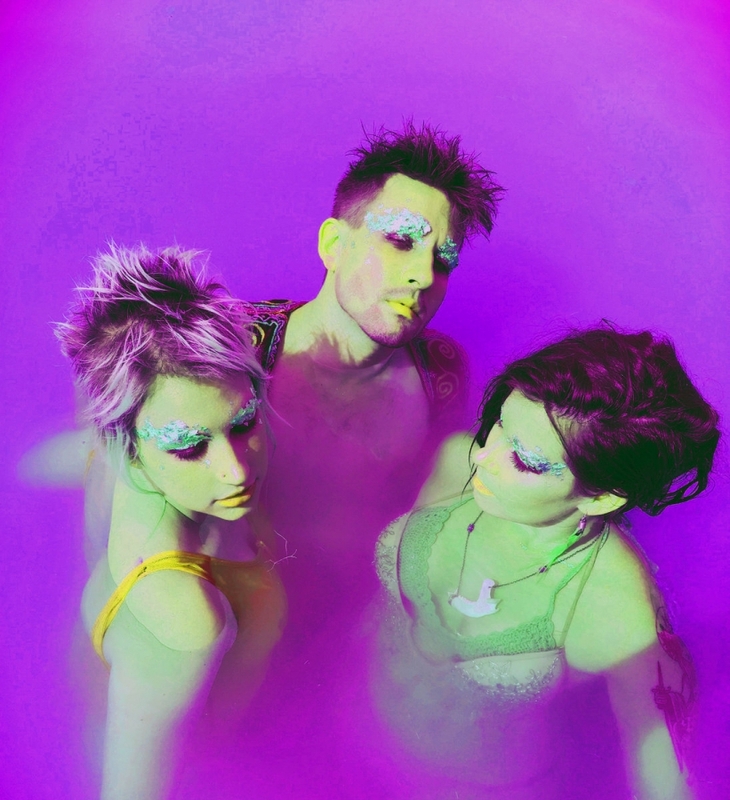 The music/video art collective is made up of writer/singer/artist Katie Ross (Cicada O’Kain, Parhelion), musician/artist James Kalinoski (Living, Flesh Prince), and writer/rapper/artist Andrea Bullard (Acid Orphan). "Birth House" bounces along with an undeniably contagious groove, beautifully accented by flourishes of brain-teasing samples, while Ross' endearingly sweet vocals melts away the constant stresses that seem to be more apparent in our daily lives. It's Etheric Felines' debut single, which was mixed and produced by Lucas Coudry (Living, Inverness), and is available via Philly's own Magic Death Sounds. We are also looking forward to the visual art that should surely be coming in the near future, soundtracked by this electro noise-pop gem.